Can you imagine having made a huge investment in your trading education, or having spent a significant amount of time learning how to trade, but can’t see, hear or feel the results you want? Have you ever been frustrated, angry or worried because you have done everything possible.. knowing deep inside yourself that something is missing? And that the missing THING has nothing to do with Technical or Fundamental trading. But, when you find it, you can make a positive leap in your trading results. Before I introduce myself, I’m going to get straight to the point to say: Don’t BELIEVE a Word I Say. You see, EVERYONE is different and everyone will have different personalities, beliefs and trading experiences before you first visit this site. On top of that, reading this now means you already know what you’re looking for, you know you are looking for something or you are looking for that missing thing. If either of that is true, then read what I write but don’t believe it yet. Instead, go check it out yourself before believing it. Because, whatever I say in TYE is only from my own experience. It worked really well for me (and that’s why I’m sharing), it worked well for someone else and, the chances are, it might worked for you too. However, you will never know until you FULLY TESTED IT yourself (noticed that I said “FULLY tested it” and not just a simple test? Because, unless you go all out to test it, the effect, the learning and the experience is not complete). More importantly, if you want something to work, you must first believe in yourself and not just on the surface of what I say/write. Once you believe what I share, move on to believing that you are responsible for those results, because only you can make the necessary changes for your success. If you can accept this (which I hope you will), then, from the bottom of my heart, welcome to Trade Your Edge (TYE)! Getting Started with Trade Your Edge! Hello, my name is Alwin Ng, the owner of this trading psychology site. Whether you’re looking for the THING or just passing by, thank you for spending time browsing the site (see articles) as I hope everyone can leave knowing that they’ve gained something useful sooner or later. For those of you who are looking, I believe you’re at the right place because, at TYE, I believe traders can achieve positive trading results through conventional and unconventional methods. Hence, I would like to invite you to enjoy the site with an open mind. After all, it is proven that learning should be fun and the more you enjoy it, the more you can learn. On top of that, I honestly hope you can learn about your Trading Edge and learn to execute it flawlessly. If you’re passionate about trading and want to achieve Consistency, Confidence and Success through Excellent Trading Psychology, then this site is for you. “the Trader’s ability to flawlessly execute his/her Edge, that Edge is a unique skill set possessed by the individual Trader that gives him/her superiority over the market”. Trade Your Edge is about Trading the financial markets and a lot more. It is about how one person, with the right attitude, commitment and psychology, can achieve success in their own way. Whether your passion is in Trading or not, it doesn’t matter. But having the right mindset is crucial and will be your greatest tool to success. Just to be clear, this is a site for SERIOUS Traders and this is not for people looking to Get-Rich-Quick. So, instead of dreaming, I would invite you to start off on the right path – think of this as a career, learn to demystify any trading myths that you might have (read here) and do not think of this as just-another-way to find new income. Because, when you get it right, it’s going to be more than just an income. Be reminded that you will have good days and you will have bad days. Your ability to go through both of them is crucial. Even though you don’t have to get it right initially, it’s not about being perfect but it’s about putting EFFORT to get it right. 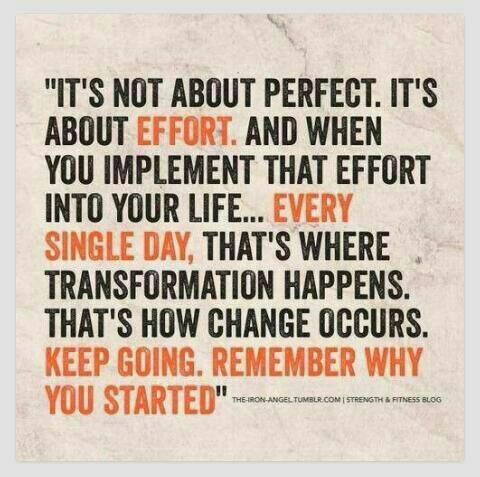 And when you implement that effort into your life.. every single day, that’s where transformation happens. That’s how change occurs.. And when you get there, Keep Going… Remember why you started. Trader’s Psychology is our main theme but we cannot emphasise enough that having a Trading Edge in the Financial Market would also require traders to have Discipline, a rock solid Risk Strategy and sound knowledge of Technical Analysis. All these emphasis will be re-iterated throughout our site and workshops. TradeYourEdge.com is an Online Education and Trading Community focussing on Price, Market and Traders’s Psychology. Just to be clear, this is what I mean. Price or Price Action is the movement of price of a specific security. Believe it or not, a price in any security has a personality and it behaves in a certain pattern. It is as though prices have a heart pulse that is beating at a certain rate, or it has emotions where it moves faster when it’s angry. The market is constantly at war because the buyers are trying to win the sellers and vice versa. Market Psychology is the process of understanding what the buyers and sellers are thinking, as well as identifying who is winning the market. More importantly, once you find the leader, all you need to do is to follow them and success is just around the corner. In order to explain what I mean, I have documented this idea in the book “How To Read Price Action” here. 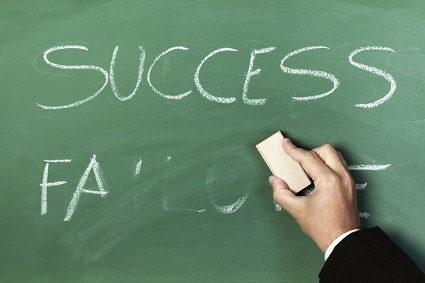 Trading (Technical or Fundamental) is only 10-20% of the success factor. The rest is discipline and having the ability to follow the rules. Well, that sounds really simple. However, discipline and having-the-ability-to-follow-the-rules can be narrowed down even further and that goes way beyond what normal traders look for. In case you’re wondering, I refer to trading psychology as the trading mindset, trading behaviour, emotional management, the unconscious mind and etc. You can call it something else but I think you get the idea. According to the Pareto principle (also known as the 80-20 rule), it only takes 20% of causes to produce 80% of the effects. TradeYourEdge is huge advocate of this principle, we strongly believe that you Do Not need to know everything about the Financial Market to be a Profitable Trader. On the contrary, TradeYourEdge is here to help you (readers) focus on the Process and Not the Prize. We put enormous emphasis on Trading Psychology as it is proven that Trading is 80% on Psychology and 20% on Trading Knowledge. With Excellent Trading Psychology, focussing on the process will be easy. As Jack rightly says it, Trading is a great investment tool and trading the Forex market is a fantastic way to make financial gains. Above and beyond that, I believe that anyone can be a successful trader – provided they have the right Education, Support and Commitment. Our mission is to help Novice Traders who are serious and committed to succeed. For more details about the founder of TradeYourEdge.com, please see About Alwin.